Custom designed with a photo and personalized text, our personalized Happy Birthday candy bar wrappers are the perfect and unique way to say Happy Birthday! 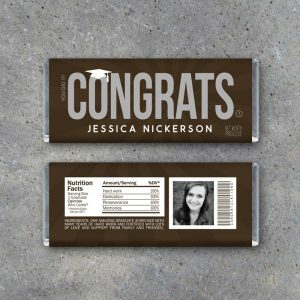 Simply print, trim and wrap around your favorite chocolate bar and you have an instant gift anyone would love! They can be used as a stand alone gift or as an adorable gift tag to put on top of a larger gift! 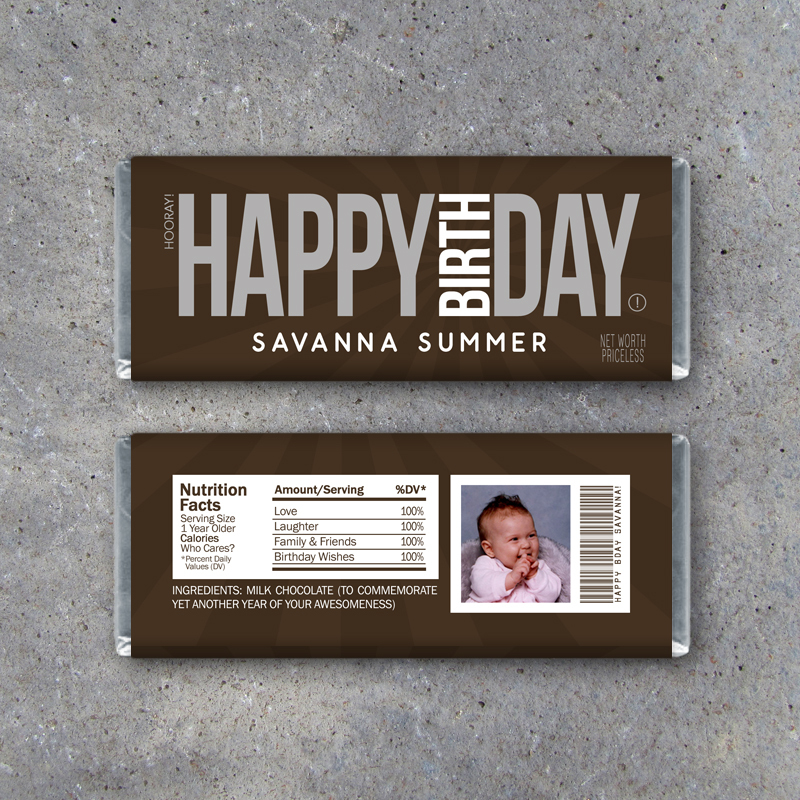 These are great for all ages and make memorable party favors for your birthday party guests! 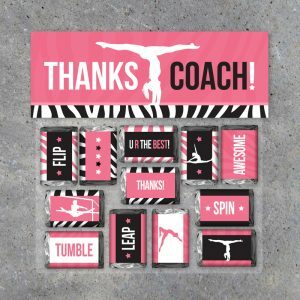 They also make unforgettable last minute gifts for teachers, coaches, neighbors, friends, customers, pastors and more! Your high resolution 8.5″ x 11″ PDF files will be sent to you within 1 to 3 business days. The first download will feature one wrapper per sheet and the second will feature two wrappers for those of you who have the option of borderless printing. 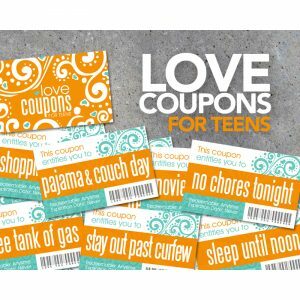 Simply print on quality cardstock or photo paper, trim and adhere! Each wrapper measures 5.5” x 5.6”. Made to fit the standard 1.55 oz. Hershey’s chocolate bar series (including Mr. Goodbar, Crackle, Cookies & Cream, etc.) but fits other popular flat candy bars as well! Want to resize this item? Click here to learn how.